When President Putin makes his lightning one-day visit to India, the main thing on his mind will be power. He’ll be discussing nuclear cooperation and energy when he meets Prime Minister Modi. “Nuclear energy cooperation is one of the pillars of our strategic partnership. We concluded two inter-governmental agreements in this field in 2008 and in 2010,” Putin said in an interview with Indian PTI news agency. There are two key Russian-India nuclear projects underway. The Kudankulam nuclear power plant is the only nuclear power plant which meets all the "post-Fukushima" safety requirements. The second is awaiting a decision by the Indian government on where it wants to build a new Russian-designed nuclear power plant. “Our resources enable us to build up to 25 power plants in India. According to experts, however, even these units may not meet the needs of a dynamically developing economy like India,” Putin said. Talking about natural gas deals and the shift from Western to Asian markets is logical, he said. “…European consumption is increasing too slowly, while political, regulatory and transit risks are on the rise. At the same time, the economies of Asian countries are growing rapidly. 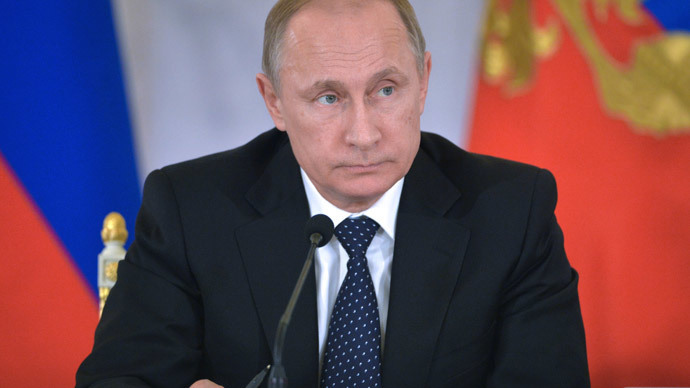 Thus, we are naturally interested in diversifying the destinations of our energy deliveries,” Putin explained. However, new natural gas deal needs to be carefully considered, as preliminary analysis shows that transportation of pipeline gas will be more complicated and expensive. “For the time being, Russian liquefied natural gas transportation seems the best choice,” the president said. Russia already has a successful energy deal, with liquefied natural gas (LNG) to be supplied by Gazprom. The first LNG for India is expected to be shipped in 2017, and it should not be later than 2021, eventually reaching 2.5 million tons, Putin said. The project comes at a time Russia intends to “boost economic growth in Eastern Siberia and Far East regions and build new infrastructure there,” he added. Russia and India are planning to expand cooperation through participation in the development of oil and gas deposits in the Eastern Siberia. India is currently importing 1 million tons of Russian oil annually, with the potential to increase. The participation of India’s OVL in oil exploration in the Arctic is being actively discussed. In May Rosneft and OVL signed a memorandum of understanding involving cooperation on Russia's Arctic shelf as part of an international consortium. Gazprom Neft is also interested in involving with Indian oil and gas companies in Arctic projects. President Putin sees the potential for growing trade cooperation despite an unfavorable global economic situation. Russia and India are planning to double their $10 billion trade turnover to $20 billion in 2015. India has also expressed an interest in concluding a free trade agreement with the Customs Union of Russia, Belarus and Kazakhstan. The issue of a possible transition to payments in national currencies is also relevant, Putin said, adding that particular attention should be paid to boosting mutual investments. Overall, the total of about 20 deals are expected to be signed in India, that will also include the promotion of the Russian Sukhoi Superjet-100 and MS-21 aircraft to the Indian market, and the introduction of the GLONASS satellite navigation system. Other priorities include building a butyl rubber plant, helicopter manufacturing, creating ‘a smart city’ on the basis of Russian technologies and organizing a tractor assembly plant, Putin said. He added that the development of military and technical cooperation is one of the main components of the strategic partnership between the two countries.